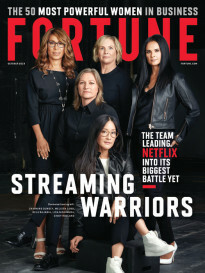 Streaming media has totally upended the entertainment landscape, and Netflix has led the charge, as shown by the fact that the popular streaming service’s U.S. subscriber base has doubled in just the past five years. Now, Netflix has claimed a major symbolic victory over the country’s biggest cable providers, with research showing that the streaming service now has more U.S. streaming subscribers (50.85 million) than the number of customers for the country’s largest cable companies (48.61 million). Netflix announced those subscriber totals as part of its most recent quarterly earnings report, while the cable industry numbers come from a study published last month by Leichtman Research Group, which estimated the combined subscriber base of the top six U.S. cable companies, led by Comcast (22.5 million) and Charter Communications (17.1 million), and representing the bulk of the U.S. cable industry. Of course, Netflix’s victory does not factor in subscriber totals for U.S. satellite TV companies, not to mention broadcast television viewers. But the numbers still represent a significant milestone for Netflix versus traditional television providers. While Leichtman Research estimated that the top cable companies lost more than 100,000 total subscribers in the most recent fiscal quarter, Netflix said in April that the company added 1.4 million domestic users in that same period. And, while cable companies fear further subscriber losses, Netflix is forecasting continued subscriber growth that could put the streaming company’s U.S. subscriber total at roughly 51.5 million when the company reports earnings again next month. And, while Netflix is not always able to increase its subscriber totals fast enough to please its shareholders, the company maintains a huge market share lead over its digital rivals, reaching roughly three-quarters of all streaming users. Netflix is also growing rapidly overseas, where the company has ramped up its expansion efforts in recent years by rolling out its service in over 190 countries. Next month, Netflix is expected to announce that it finally topped 100 million subscribers worldwide. 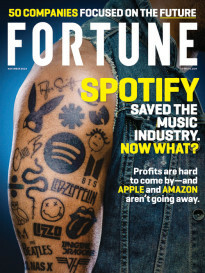 Meanwhile, Netflix isn’t the only streaming service adding more and more subscribers, and rivals such as Amazon, Hulu and YouTube, owned by Google’s parent company, are gaining more of the streaming market share as they look to mount challenges to Netflix’s streaming supremacy.